SACRAMENTO, CA -- One son was so proud of his parents finally graduating from college that he couldn't help but boast about it on Twitter. Charles L. Cole Ill wrote, "My parents went back to college together and they graduated today. Together. #salute." His message went viral, with nearly 5,000 people liking it. It was a long road to graduation day for Cole Ill's father, Charles L. Cole Jr. and his wife Renate. After battling crack addictions, the two eventually became sober and were inspired by their eldest son to finish college. The younger Cole, 33, earned his bachelor's degree in political science from California State University, East Bay before obtaining his master's from San Francisco State University. He's now earning his doctorate in Educational Leadership at San Francisco State. His father said, "Our son is a go-getter. By seeing his energy (and) his drive to just do it that kind of pushes us." He also said that he and his wife thought, "Well, if he can do it, we can do it too. We embedded this in him." 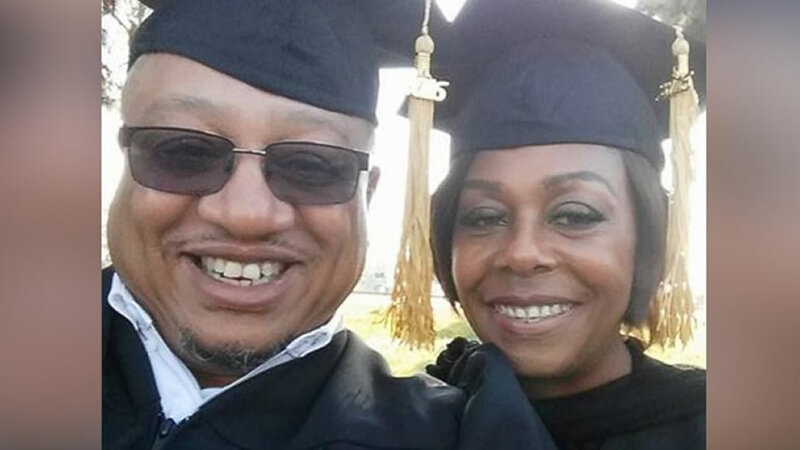 The couple, who have been married for 38 years, graduated from Sacramento Theological Seminary with a bachelor of arts in Biblical Studies on Dec. 3. Both said they hope to use their degrees to further their ministry, particularly in helping homeless veterans. Click here to read the full ABC News story.